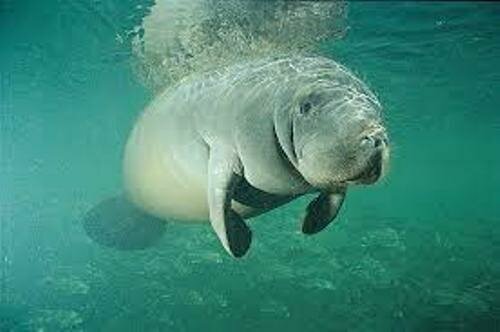 In the order Sirenia, there are three living species from four species of manatee. 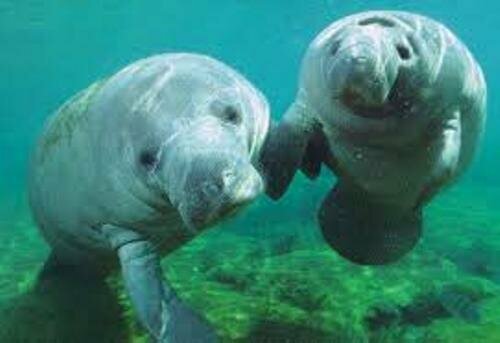 Those are the West African manatee, the Amazonian manatee and the West Indian manatee. In average, manatee has the weight at 590 kilogram or 1,300 pounds. The length is around 4.0 meter or 13 feet. The animals have the paddle like flippers. The female is larger than the male manatee. 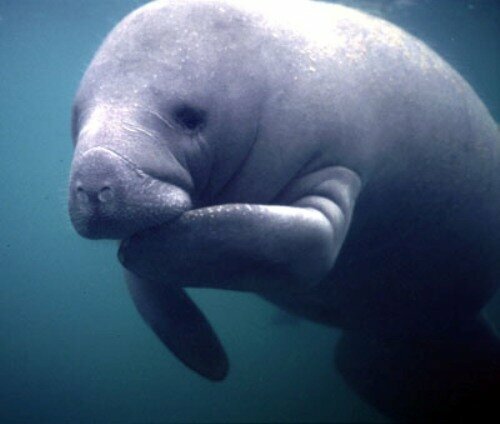 Manatee’s name was taken from Taino or the Pre Columbian people in Caribbean. It was taken from the word Manati. The meaning of this word is breast. The hair color of the Amazonian manatee is in brownish gray color. The coarse hair is located on the thick wrinkled skin. The average weight of the baby manatee when it was born is around 66 lb or 30 kg. Get facts about kakapo here. The upper lip of manatee is very functional. It is not only used to eat and gather food. It is also used for communication and social interaction. The lip is flexible and large. The teeth of manatee keep growing to replicate the older fall out teeth. The adult manatee only has a set of cheek teeth. They do not have any canine or incisor teeth. The gas produced by manatee is enormous. The gas is very functional to help the digestion of the food. Manatee is generally a solitary animal. The babies will live with their mother until they are independent. 50 percent of the day is used by manatee to sleep. Get facts about leatherback sea back turtle here. Manatee will deliver a single calf in every two year. 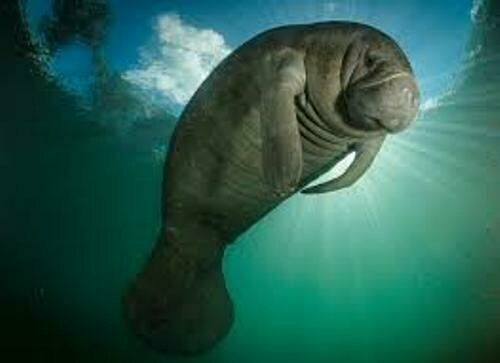 The gestation period for the female manatee lasts for 12 months. 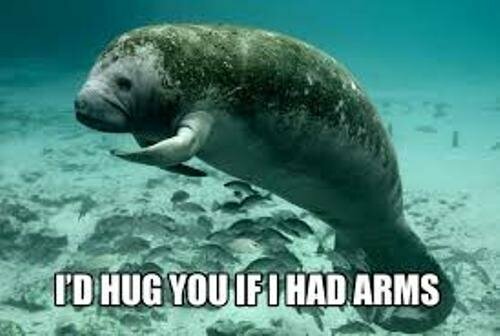 Do you have any suggestion on the manatee facts?